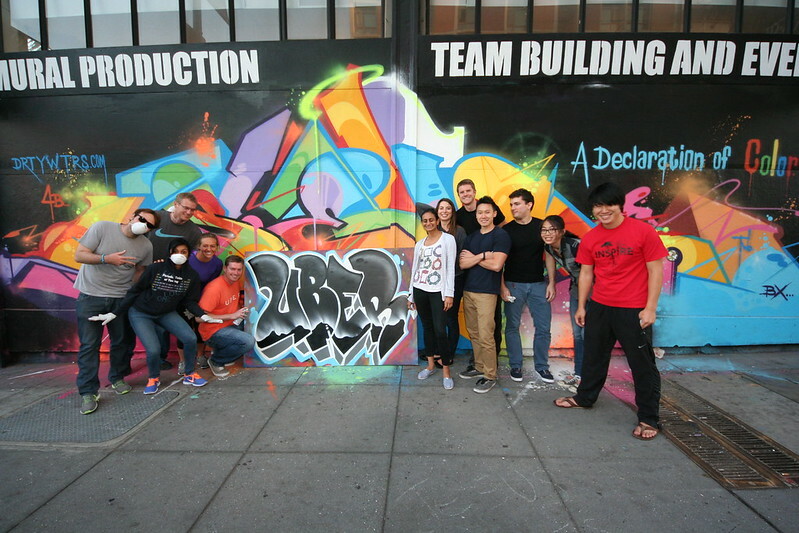 A team from Uber arrived at the gallery for an evening of marker tagging, street art education, and mural production that seemed to please the whole crowd! As opposed to painting on our gallery’s wall, they chose to paint their final two mural on canvas so that they could be taken back to their local office and displayed. They requested one mural to have their company logo and the other to have its namesake, both of which turned out especially cool! Email us at privateevents@1amsf.com to schedule your next team-building event with us! « LinkedIn takes their cans to canvas!